Happy New Year! February 5th is the first day of the Lunar New Year. Featuring the Pig as this year’s zodiac animal, many companies are including the rotund creature in their advertisements this season. But it wasn’t always like this. The number of people and the fervor with which they celebrated the season is what helped the holiday grow into what it is today. Local banks used to simply pass out red envelopes to their customers as a small gesture of acknowledgement. Now, they dedicate special time and services to the thousands of flocking customers seeking fresh, crisp bills required by tradition for those very same red envelopes. And banks aren’t the only ones to dedicate special attention to this growing holiday. Now that Lunar New Year is observed by nearly 1/4 of the world’s population, celebrating the holiday is an easy way of connecting with a quarter of the globe. 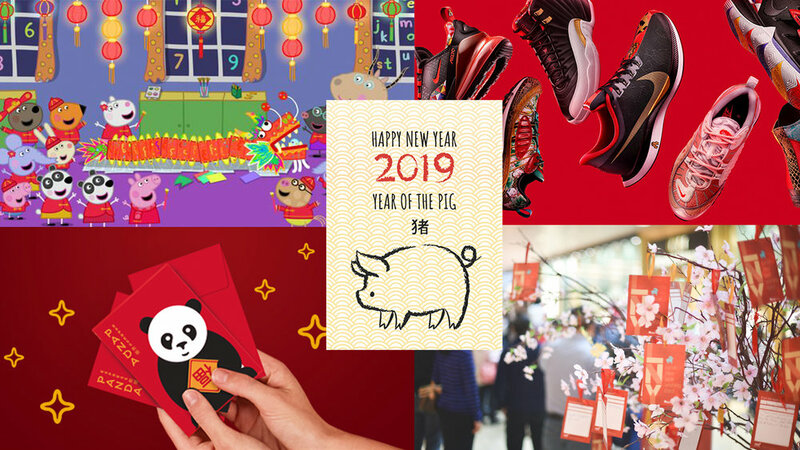 Many companies now promote Lunar New Year in some fashion every year. Companies like Walmart, McDonald’s, Wells Fargo, even Clorox, will commemorate the holiday in an attempt to tap into the immense consumer base. Panda Express offers enticing promotions, and changes their website during Lunar New Year with an aim to educate their customers on the season. Other ways that brands pay homage to the holiday include the children’s show Peppa Pig, dedicating an entire episode to it. Even Nike paid tribute to the zodiac with a collection that meticulously details multiple facets of the holiday’s traditions within their designs. As more people adopt this Chinese holiday it transforms into a shared cultural occasion. In fact, California made Lunar New Year an official holiday just last year, encouraging schools to recognize the traditions and cultural significance. We at Muse have our own new year traditions, celebrating with dim sum, decorations, red envelopes, and dumpling-making! Check out our Instagram for pics!